Congratulations to Paul, winner of the Senta-40 Wooden Headphones. 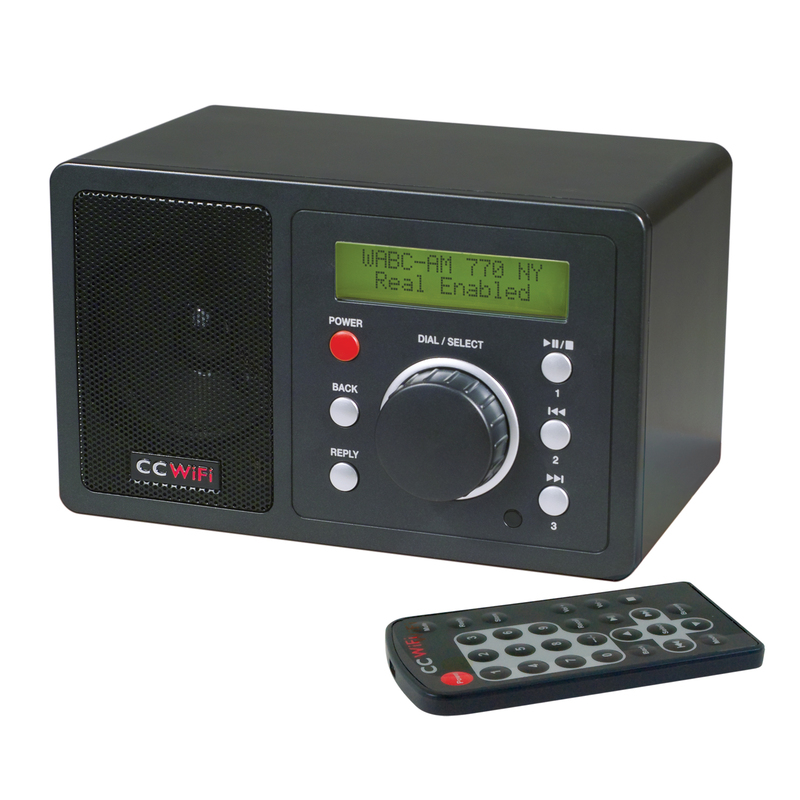 Today’s giveaway is the CC WiFi Radio. Today’s blog question: How long did you believe in Santa Claus? Probably around 7 or 8. my brother told me. I remember it like it was yesterday! Are you implying that there is not a Santa Claus? Oh, man, that was a long time ago! I think I was in first grade, about 6 or 7 years old. Our neighbors had a display with Santa and the reindeer on their roof. I interpretted the display to indicate that they were trapped there. So, if anyone received Christmas gifts that year, they couldn’t be from Santa. But the gifts still came! Probably about 7 or 8 when I realized that half the presents under the tree were for my birthday on the 24th. I caught on to it pretty early: I was 6! When I was 9 I thought something was off when I just could not catch a glimpse of Santa despite keeping an overnight watch with my younger cousin and yet there were presents next morning. But my parents clued me in next year. I was like 5 or 6 years. Didn’t Santa Claus record for Motown? Or was it Buddah? My brother spilled the beans when I was around six or seven. Much longer than I recall according to my mother. I was 6 or 7. We tried to raise our kids with the knowledge that there was a deeper meaning to thew holiday than a man in a red suit bearing gifts. Actually I still believe. Maybe it is not in the image portrayed to and by children, but through the generosity, prayers and best wishes to accomplish good. I must say though, one night long ago, I swear I heard him land on my roof and come into my room to check if I was sleeping. I was about 12 I guess. I was 6 when I discovered the presents came from my parents and not Santa. Gotta love Santa though. That was a LONG time ago. I believe I was about 6 or 7. I really cannot remember how I learned the sad news – probably from my older sister. I held on to that belief for a long time. I still like to believe. Who says i never stopped believing in Santa!! I’ve a inquiry concerning the article, where am i able to e-mail the writer? Please email customerservice@ccrane.com, we will respond within 24-48 business hours.